Its been a long time since i updated my blog as i was lately too much busy with my dentistry and was having very little time spared to express through words. This write up and the follow ups will be regarding the extensive journey we carried throughout the Bavarian region in southern Germany. We did a lot of planning for this trip and I must say we enjoyed it to the fullest. 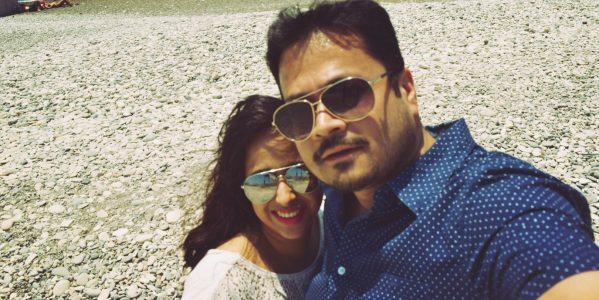 Me and my better half had it in our bucket list to visit the world most talked about and biggest beer fair THE OKTOBERFEST https://www.oktoberfest.de/en/ so,we planned our trip accordingly to start our BEER TRAIL from Munich and drove across the monsoon splattering and cloudy dreamy mountains. Passed across miles of meadows and the clear sky, headed towards Dachau Concentration Camp http://www.kz-gedenkstaette-dachau.de/ .We as kids read a lot about the world war and the active part of Adolf Hitler. Dachau concentration camp was one of the terror center established during Hitler’s reign under the direct command of his right hand Heinrich Himmler. Now this ground is a memorial but one can read about the torture almost 2 lacs people went through each day in this camp. We walked through each corridor and it is preserved as it was then with heart wrenching stories of pain and sorrow. The entry to the camp is free just the parking ticket one has to pay. We hit the road again and this time the sun was playing kinda hide and seek with us. Our plan was to cover some cities on romantic road but then we were too tired and exhausted to drive across all the cities. Happy go lucky as we are always we drove towards Augsburg. Augsburg was a sweet surprise for us. Kinda college goer paradise. People sitting on the cobbled city center enjoying a smoke and a beer. We couldn’t spend a lot of time here ás we had to head back and take a goodnight rest at our abode. We booked a place from AirBnB and i must say it was a beautiful property. Lovely hosts and their son who was ready to help us out for whatever we needed. We instantly felt at home after reaching this place. Our host,Doris was courteous lady and she was a good guide.https://www.airbnb.com/rooms/17524423?location=Wolfratshausen%2C%20Germany&s=4iE4DzLj . I would love to visit that place again if at all i plan to visit Munich again and spend some good time. We called it a night after an enjoyable day because a lot of beer was coming on our way the next day. Oh yes. Lots of beer would indeed be welcome!